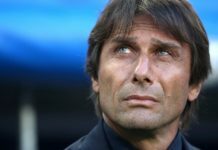 Sunday’s match between Manchester United and Chelsea could prove a pivotal point in this season for Antonio Conte’s men. 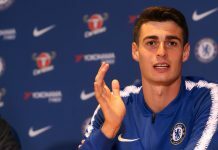 At the start of Sunday’s clash at Old Trafford, Chelsea had shown in matches against Manchester City and Bournemouth that they were handling the pressure being put on them by a run of victories by second-place Tottenham Hotspur. Except on Sunday, the Blues put in one of their worst performances of the season. 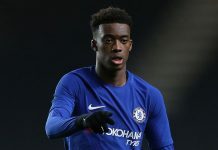 Chelsea’s 2-0 defeat at Old Trafford means that title rivals Tottenham Hotspur now have the hope that they’ve been waiting for, after they took care of Bournemouth yesterday. 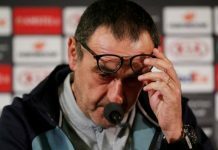 More concerning for Chelsea is that they were out-fought, out-thought, and generally outplayed by a United side who still have one eye on their Europa League clash with Anderlecht on Thursday. Overall, the fates seemed to conspire against the Blues from the start. 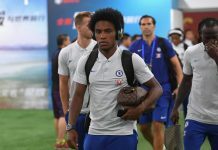 Having lost Thibault Courtois to injury in the week to an alleged injury during a promotional shoot, Chelsea were forced into a reshuffle just before the start of the match when Marcos Alonso was ruled out with an illness during warm-ups. It didn’t help that the man on opposing touchline has a history of finding ways to disrupt the rhythm of his opponents. 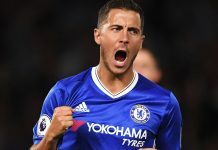 Jose Mourinho once again showed that he could work out an opponent, choosing to man mark Eden Hazard and Pedro with Ander Herrera and Matteo Darmian in order to stem the Chelsea counter attack. While Chelsea were still working out how to solve the puzzle set before them by Mourinho, it was United who settled first. Eyebrows were raised when Zlatan Ibrahimovic was listed amongst the substitutes, but just five minutes in, it looked to be the right call. Jesse Lingard started up front with Marcus Rashford, and the former pressured David Luiz into miscontrolling a pass, found his strike partner, but Rashford could only drag his shot wide. The warning signs were evident, though. Mourinho’s decision was fully vindicated minutes later when Rashford slipped in behind David Luiz to control Ander Herrera’s pass, shuffled to his right, and slipped the ball past Asmir Begovic to get United off to a flying start, though replays showed that Herrera blocked a pass from Nemanja Matic’s hand in the build-up. Rashford continued to cause the Chelsea defence problems, and nearly had his second when Antonio Valencia’s drilled cross just evaded his outstretched leg as he’d escaped the attention of Luiz once again. 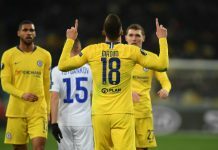 Chelsea still failed to find any semblance of rhythm in their play, and United’s plan to stop the Chelsea counter attack, as Costa, Pedro, and Hazard found it very hard to find any sort of space to play. United could have had a second just before halftime when Lingard and Antonio Valencia combined well to find space down the Chelsea left. But Ashley Young smashed Lingard’s pull-back well over the bar. United did get their second just after the restart. Young fired a cross into the box that Luiz cleared directly back to the United winger. 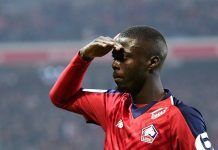 Young escaped the attention of N’Golo Kante and found Herrera on the edge of the box. 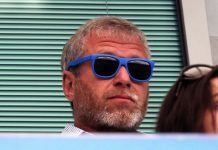 His shot took a deflection off the outstretched leg of Zouma and sailed over Begovic. Conte sensed changes needed to be made, hooking Victor Moses for Cesc Fabregas and switching to a back four. Fabregas nearly made his presence felt moments after his introduction when he found Costa’s run with a quick free kick over the top, only for Marcos Rojo to clear the danger. 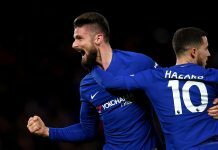 Chelsea began to finally find a bit of a foothold in the match, but by that time, United were happy to defend their lead. 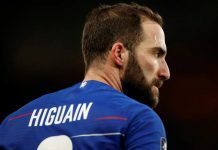 Despite the Blues finally beginning to control the play, shots on target and scoring chances were severely lacking, and by the end of the match, it looked as if the Blues had run out of ideas. 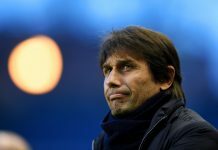 Up next for Chelsea, a nice, soft landing as they face Spurs at Wembley on Saturday evening in the FA Cup semi-final. After this performance against United, Spurs will not only see a chance to get to the FA Cup final but also a chance to deal a huge psychological blow to their title rivals. Chelsea must find a way to match that intensity to make sure that doesn’t happen. 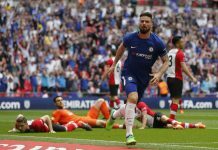 Next articleCan Chelsea Add to Tottenham’s Wembley Woes?